Roasting vegetables is probably one of my family’s favorite ways to enjoy eating vegetables. Thanksgiving is fast approaching so why not add a different kind of side to the table. You can get very creative on the medleys you would like to roast. I love tossing my veggies with olive oil, garlic, salt and pepper and of course some rosemary and thyme to the mix. Brussels sprouts are in season. I love roasting these guys with pretty much anything or alone. Roasting veggies are also great in making soup. Roasting is pretty simple and easy. Hope you enjoy. Cut off buttons of Brussels sprouts and cut in half. Place in a large bowl. Next cut up butternut squash into cubes (you can also buy cubed and prepped butternut squash at supermarket). Place in the bowl with Brussels sprouts. Toss seasonings, olive oil, veggies and garlic together in the bowl. Take a baking sheet and roast for 30 to 35 minutes until tender and golden crisp color. Move veggies around about half way through. I have never roasted brussel sprouts this way, but often do a mushroom, onion and assortment of sweet pepper combo that is delicious and very simple. Have added leftovers to soups too as you suggested. This looks so, so good!! 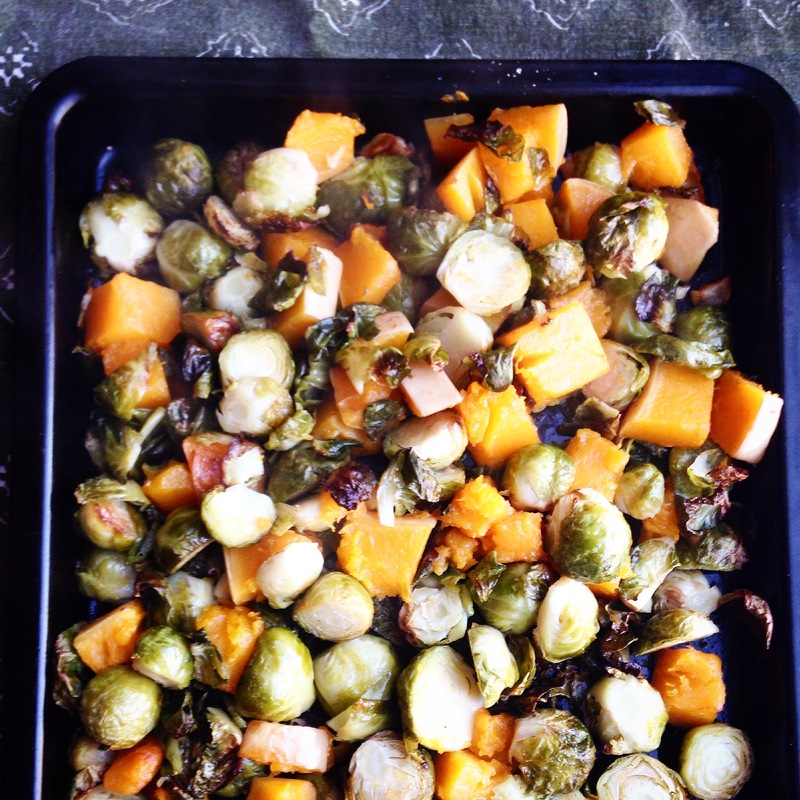 I work for Twin Pines Landscaping, and we are putting together a bunch of our favorite Thanksgiving recipes featuring veggies to share in our “Twin Pines 2014 Thanksgiving Recipes” album on Facebook! With your permission, we’d love to share your picture and link to the recipe here on your blog! Let us know what you think! Hi Roberta! Thanks so much for your contribution! We linked back and mentioned your blog right in the post. You can see the final post here http://on.fb.me/14YnUD0. Please feel free to “Like” our page on Facebook and share this post with your friends! Thanks again and Happy Thanksgiving! Good afternoon! We at Twin Pines just wanted to thank you again for contributing to our Twin Pines Thanksgiving Recipe Book (see the final album here http://on.fb.me/1Fk8MLa!) We also wanted to let you know that we’ve posted an article on our blog that ties all these recipes we collected in with landscaping! Check out the final article here http://bit.ly/1FUyBn5 and the ones that link to it! We promise it’s worth a read! Brussel sprouts are underrated, this looks delicious!